Let Celtic Footstep help your group to explore Celtic Roots in Ireland. Have a read of the below escorted Tour, this tour is is accompanied by a Professional Tour Guide with input from Local Irish Experts at Glendalough, a Franciscan Monk in Clifden, one of the Sisters at Kylemore Abbey & Solas Bhride Kildare, Aran Islands & Glenstal Abbey. Arrive in Ireland and begin your Journey in Dublin Capital City of Ireland. Visit Trinity College, Book of Kells, the National Museum & Guinness Storehouse. On Your first morning in Irlenad you can visit Glendalough in Wicklow which is the setting of some of Ireland’s most important monastic settlements. You can meet with Fr Michael Rodgers and be lead on a spiritual journey along his Pilgrims walk through St. Kevin’s Monastic City. When exploring Ireland a visit to Newgrange a World Heritage Site is an absolute must. You can also go and see the amazing Hill of Slane, Monasterboice & Mellifont Abbey. Spend the day visiting the Celtic Sites of Northern Ireland, visit the Roman Catholic Cathedral the St Patrick’s Centre, Downpatrick Cathedral, and Saul Church. 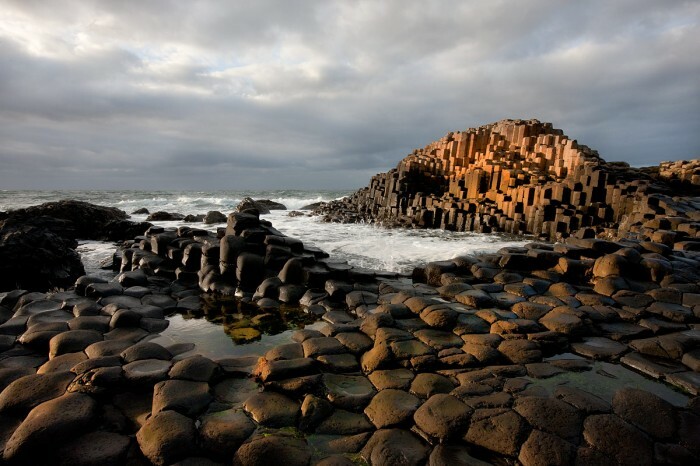 Enjoy a scenic drive to the Giant’s Causeway on the North Coast, one of the great natural wonders of Ireland and a UNESCO World Heritage Site. Take a tour of Knock Shrine one of the world's leading Marian shrines. See the place where where the pope said mass in 2018. Take a Ferry Journey over the atlantic to vist the Aran Islands. Dun Aengus & the Seven Churches are just two of the celtic sites that await you. For an in depth tour you can meet with Padraigin Clancy. After your return to Galway spend your evening enjoying a show, Trad on the Prom, a electrifying mix of music, song and dance. Spend the morning relaxing on a 90 minute cruise with an Irish Coffee Demonstration on board the Corrib Princess. Then travel to Kilmacduagh & the Cliffs of Moher & Poulnabrone. Contact us today to organise a tour which Explores the Depths of Celtic Spirituality in Ireland for your group.